Unfinished business: in the foreground, the foundation for Building 13B at the Viceroy hotel in Base Village. In the background, Building 13A, which includes the Viceroy's lobby, restaurants and other amenities. After a foreclosure sale on the steps of the Pitkin County Courthouse on Nov. 16, the Related Companies and its entity Base Village Owner LLC no longer own the Base Village project. But the giant private real estate firm based in New York is still wrangling in court with the new apparent owners of the project, Hypo Real Estate Capital Corporation, which is controlled by a German government agency, FMS Wertmanagement in Munich. And the foreclosure sale does not become final until Dec. 1, as Related has eight working days to still make good on its outstanding debt through what’s known as a redemption period. 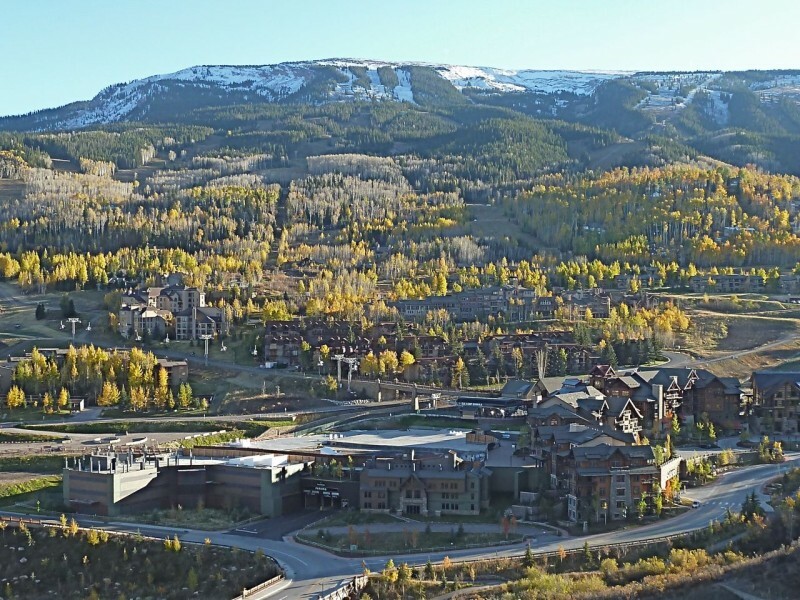 The fact that Related has formed a new LLC and rolled up nearly a million dollars in outstanding liens on the Base Village project – which Hypo has to pay off before it takes possession – indicates Related and Hypo are likely still actively negotiating about the value, and ultimate control of, the asset in Snowmass Village. And the ongoing legal fight in New York is also likely still coloring those discussions. Attorneys for Related and BVO filed legal documents on Nov. 10 in ongoing civil lawsuits in New York, where Hypo and Related have sued each other over the stalled Base Village project and a $520 million acquisition and construction loan from Hypo to Related and BVO, which included minority partner Pat Smith, a California real estate developer. Hypo served as the lead bank on the Base Village loan for another German bank and a Belgium bank. Today, a Danish bank also has an interest in the loan. Related told the court last week that because the banks refused to keep funding the construction of a portion of the Base Village project, it couldn’t build and sell condos, nor could it sell one of the building sites in the project to another party. And as a result of the project being “starved for cash,” Related says it couldn’t make its loan payments, or realize the hundreds of millions in profit it expected to on the ski-in, ski-out project, which was approved in 2004 with 610 condos and 185,230 square feet of non-residential development across 18 buildings. Hypo had earlier asked the court to grant summary judgement regarding what it calls an “absolute” $32.5 million loan guarantee, which was signed by a Related president Jeff Blau and Pat Smith in March 2007. “The payment guaranty states that the guaranteed obligations are irrevocable, unconditional and absolute,” attorney Celia Barenholtz of Cooley LLP told the court in September on behalf of Hypo. Related executives and Smith also signed two other loan guarantees – a completion guarantee and a recourse guarantee, which protect the bank against actions such as fraud. Hypo has filed a separate lawsuit seeking $100 million from Related and Smith on the completion guarantee. Related is now opposing Hypo’s motion for summary judgement. And it is claiming that because Hypo and a consortium of other lenders did not provide funds to build the second Viceroy hotel building, the loan guarantees, and the entire loan agreement, are no longer valid. ” … [T]he bank’s breach was so material as to deprive it of the fundamental benefit for which it had bargained, thereby putting an end to the entire agreement,” Related’s attorney Mark Walfish of Katsky Korins LLP told the court in a brief. The judge presiding over the lawsuits, Charles Ramos, has already dismissed Related’s claim for financial damages against Hypo in another suit, but he did not rule on Related’s claim for two other types of damages against Hypo – injunctive and declaratory. Attorneys for Related and Hypo have consistently refused to comment on the lawsuits, as have executives at Related and Hypo. Related and Smith now argue that Hypo and affiliated European banks have no right to pursue the loan guarantee because Hypo refused to open up the segment of the construction loan for Building 13B. Building 13B was to be built over the Viceroy hotel’s parking garage, which is across the arrival plaza from the Viceroy’s lobby. And because the banks did not provide the funds for Building 13B, Related claims its financial entity, Base Village Owner LLC (the partnership between Related Cos. and Pat Smith), did not have the money to begin construction on the building. This meant Base Village Owner could not pre-sell the condos that had been planned for the building, and so it could not produce $380 million in binding sales contracts that had been previously required by the bank to open up the 13B loan segment without Related making the $32.5 million loan guarantee payment. Building 13B was anticipated by the developer to be a significant source of cash. That’s revealed in legal documents, including an affidavit by Tyler Siegel, a senior executive at Related Cos. and the vice president of Base Village Owner LLC. The sale of condos in the Viceroy – which were to also be rented out as hotel rooms – “were projected to yield approximately $360 million, with an additional $35 million of value in the ongoing concern of the Viceroy’s hotel operations,” according to Siegel. Siegel also told the court that the first Viceroy building (13A), was expected to cost more to build than would be realized by condo sales, because the building included the lobby, restaurant, spa, pool, fitness center and other amenities. Also included in that tab was the hotel’s parking garage, which was to serve as the foundation for the second building, 13B. That building included no hotel amenities, but did include 73 condos. But $100 million in net profit was apparently not enough for Related at the height of the real estate bubble. 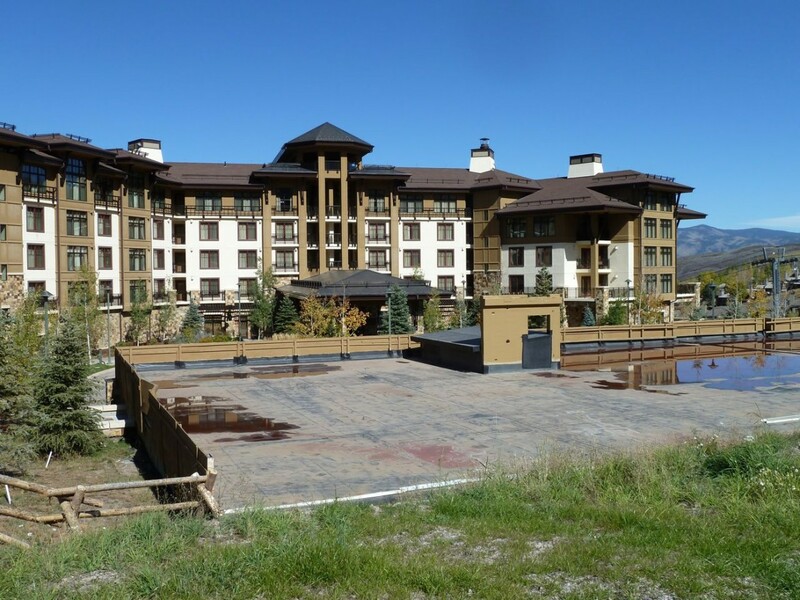 In February 2008, the company asked the banks to split the loan for Building 13A and Building 13B as it was trying to convince the Snowmass Village Town Council to approve a change to the plan for the Viceroy. That way, Related could sell 22 larger condos in 13B as fractional ownership units, instead of the approved 73 single-ownership condos, and thus potentially make more money. A fractional arrangement allows a developer to sell the same condo a number of times over – in this instance, eight times over. So instead of having 73 buyers for condos in 13B, Related envisioned having 176 buyers pay between $300,000 and $1 million for a fractional interest, according to presentations made to the Snowmass Village Town Council in December 2007 and reported on by the Aspen Daily News. 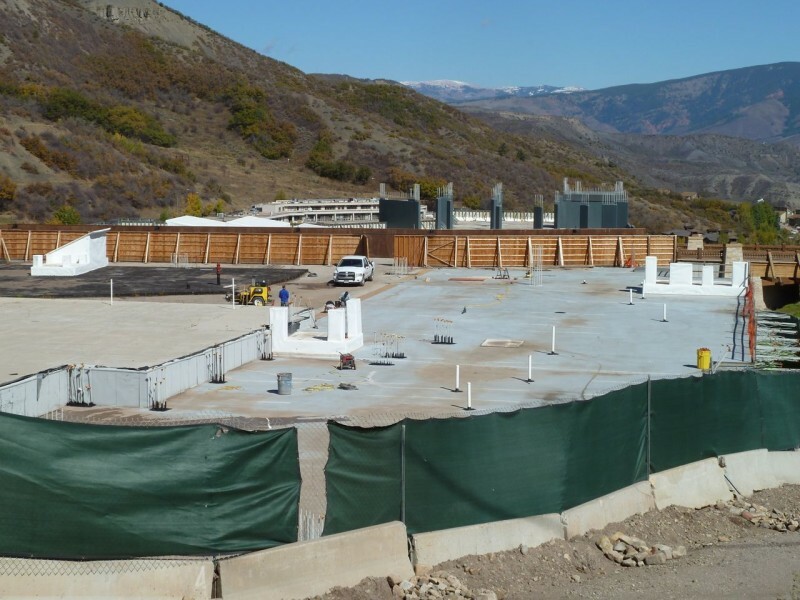 “This change to the 13B Building would have provided significant accretive value to the Project, and required the approval of the Town of Snowmass Village,” Related’s Siegel told the court. That was not the pitch that Related made to the town, however. Instead, company representatives told the town that fractional sales would lead to a higher occupancy level for the Viceroy than one-time condo sales. But while the town considered, and ultimately denied, Related’s request for fractional units, the construction of both the 13A and the 13B buildings was put on hold for about four months. Around that time, Related and the banks agreed to move forward with just Building 13A. But shortly afterward, Lehman Brothers filed for bankruptcy, sparking a global financial meltdown. Lehman had a direct interest in the Base Village project and was an original member of the banking consortium, which included Hypo Real Estate Capital Corp., Dekabank Deutsche Girozentrale of Germany, and KBC Bank N.V. of Belgium. By December 2008, the banks, now including Danske of Denmark, which had picked up Lehman’s interest, “resumed making advances” for the construction of 13A. At that time, “the 13A Building held over $110 million in executed sales contracts,” Siegel said, noting that the completion of 13A – with its list of sales contracts – would benefit the banks. The European banks released an additional $83 million to cover construction costs for the Viceroy 13A building through a series of 13 separate loan agreements. In January 2009, Siegel sent an email to Hypo executive Bruce Kimmelman informing him that the building permit for 13B was ready to be issued by the town of Snowmass Village and that Related was ready for Hypo to release those funds for 13B. “We hope that after your quick review … this will got to the syndicates and get their sign-off expeditiously,” Siegel wrote. Kimmelman wrote back, “we heard. congrats that is good news.” He also asked that Related provide additional information related to the building. After that, according to Siegel, “Hypo’s representative approved the incurring of expenses by BVO for the 13B Building,” which included $2.9 million in pre-cast concrete panels necessary for the construction of 13B. Siegel also said in his affidavit: “The banks never informed BVO of their apparent decision not to provide that funding. Instead, through their assurances and by directing BVO to begin various preparations and to incur various expenses as set forth above, they led BVO to believe (incorrectly, as it turns out) that they intended to fulfill their obligations. “Believing that the banks so intended (and that they fully understood their obligations in this regard), at this point BVO saw no need to commence a declaratory judgment proceeding for a determination of the parties’ rights and obligations. Nor did BVO see a need for an action for specific performance. In retrospect, of course, we were wrong in our belief that the banks intended to honor their obligations,” Siegel said. Siegel also said because the banks eventually filed for foreclosure on the project, it cost Related a lot of money. “BVO – which originally expected to earn a substantial net profit on the project – has received (and will receive) nothing from the project and has suffered a net loss (without even accounting for its loss of expected profits) of at least $200 million,” Siegel said. Hypo’s attorneys have previously told the court that if Related/BVO felt the banks were improperly failing to lend, then Related’s only recourse was to, in fact, commence a a legal action against the bank. Hypo has also previously argued that because Related failed in April 2009 to make a $1.3 million payment on the land acquisition, it was already in default on the loan and so the banks did not have to keep lending. ” … [R]egardless of whether the lenders breached the loan agreement with respect to building 13B, the borrower defaulted under the loan agreement when it stopped paying the required monthly amounts for the land,” Hypo’s attorneys told the court in September. Related now seeks to stand that claim on its head. “It is important to understand that in order to complete the project Base Village Owner would have needed the banks to provide all of the funding they had promised to provide,” Siegel told the court. “A provision of only some of those funds did BVO no good at all, because it left BVO with a partially-completed project that it had no way to complete. As it relates specifically to the $32.5 million loan guarantee, Siegel describes how the guarantee would not have to be paid if two things occurred: Related/BVO could show $380 million in sales contracts for condos in the Viceroy buildings, as well as condos in the Capitol Peak and Hayden condo buildings, and a land payment of approximately $175 million was made. Siegel said Related/BVO had earlier paid Hypo $100 million from condo sales from the Capitol and Hayden buildings to pay down principal due on the $520 million construction loan. And by January 2009, Related/BVO had given Hypo $115 million from sales contracts for condos in the 13A Building. “This represented approximately 50% of the $230 million worth of available inventory in that building, and brought the total value of executed sales contracts from Phase I and Phase III to $215 million,” Siegel said. But that still left Related/BVO $50 million shy of reaching the $380 million goal, which would have negated its obligation to make the loan guarantee payment of $32.5 million, according to Siegel. Related/BVO is blaming the bank for that shortfall in condo sales. So Related/BVO claims that because the bank did not provide construction funding for 13B, it could not build or sell the condos, which prevented it from reaching the $380 million sales goal. Hypo’s attorneys have previously argued this point in their motions, writing that ” … even assuming (for purposes of argument) that the lenders should have opened a construction loan for 13B in January 2009, that breach did not relieve the borrower (Related) from its duty to pay the monthly amounts in April 2009 or thereafter or the Facility B Note (the land loan) when it came due in March 2010. Related also claims the failure to fund 13B made it “impossible” to sell several building sites in Base Village to other potential parties, which it was planning to do for more than $200 million. Related’s $520 million loan was to cover the purchase of all of 19 acres of land under Base Village, but only covered the construction of buildings in Phase I and Phase III of the project. 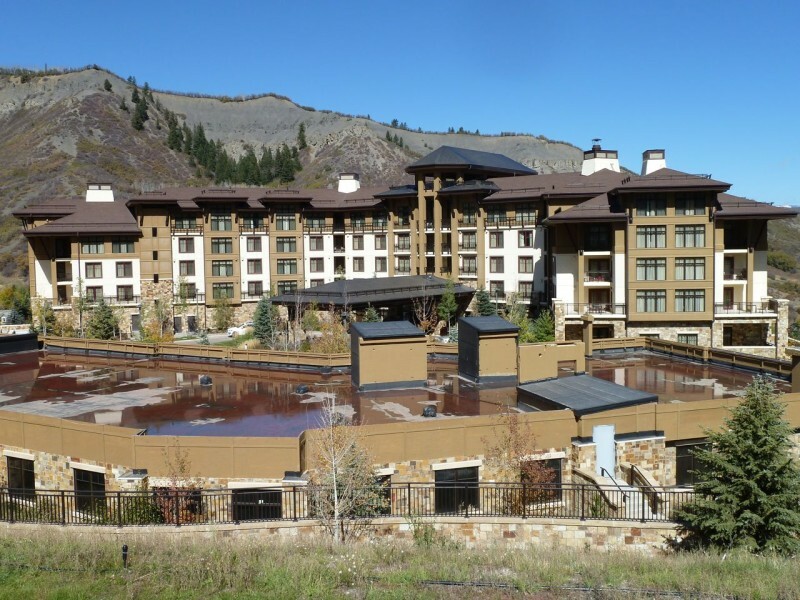 This means the Hypo loan did not cover the construction of the Little Nell Snowmass hotel or the arrival and transit center building (Building 7), which are key components of the project. The cost of constructing those buildings was apparently being financed by Related and Smith in a different fashion, and when construction stopped on what was to be the core of the village, it was apparently not because of decisions being made by European bankers, but because of the state of the market for luxury condos after Lehman Brothers failed. Longtime Snowmass Village developers Jim Light and Jim Chaffin were at one point prepared to purchase one of the buildings in Base Village, Building 11. (See slow-loading map.) But the deal fell through as the recession took hold. Editor’s note: This story has changed since it was first posted on Nov. 18. It was updated to include additional information about the redemption period and what was covered by the Hypo construction loan.